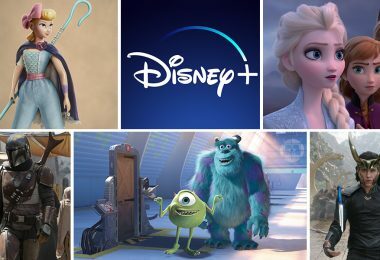 Three special Disney V.I.P.s—Very Important Pigs, that is—are on hand for the fun! 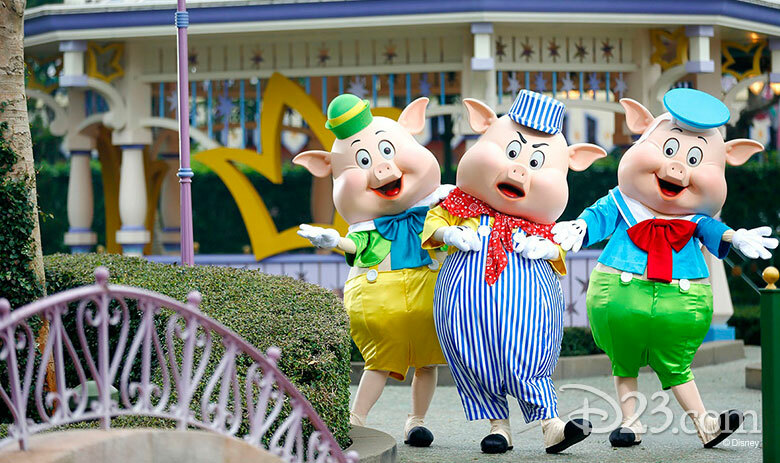 The Three Little Pigs can be found at Fantasy Gardens in Fantasyland, taking photos with guests who should also keep an eye out for special décor themed to the porcine trio in Town Square. 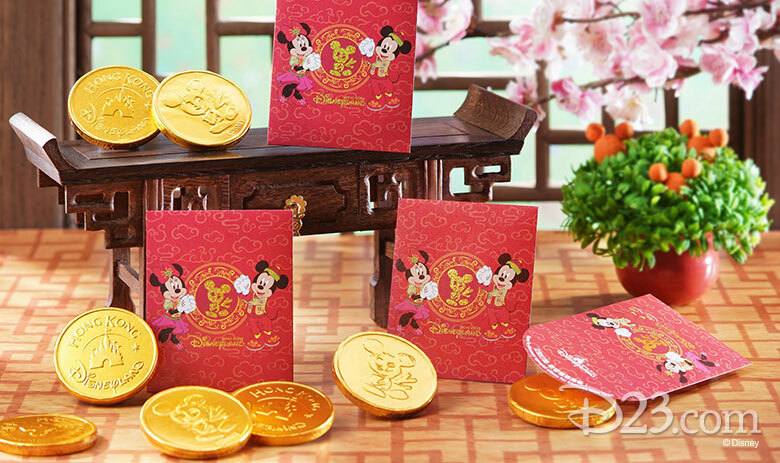 For the first five days of Chinese New Year—February 5–9—there is extra magic at the Hong Kong Disneyland entrance, where guests will receive a newly designed Lai See packet that’s filled with a special (and delicious) surprise. 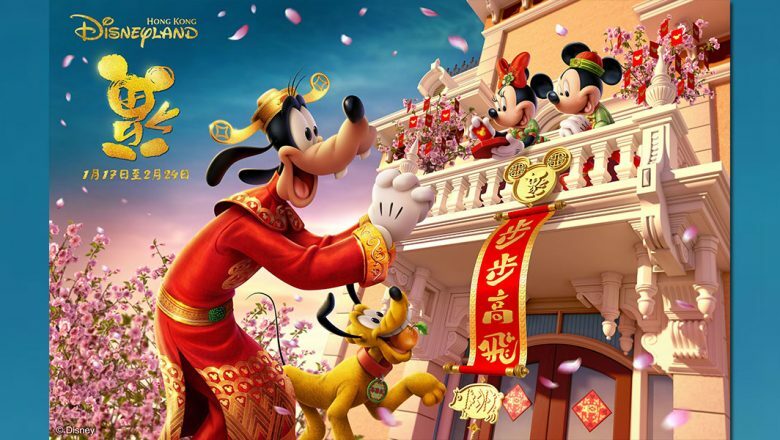 Once inside the park, the spirit of Chinese New Year is everywhere you look, as gorgeous flowers and shimmering lanterns adorn the park, adding to the anticipation of prosperity and good fortune in the year ahead. 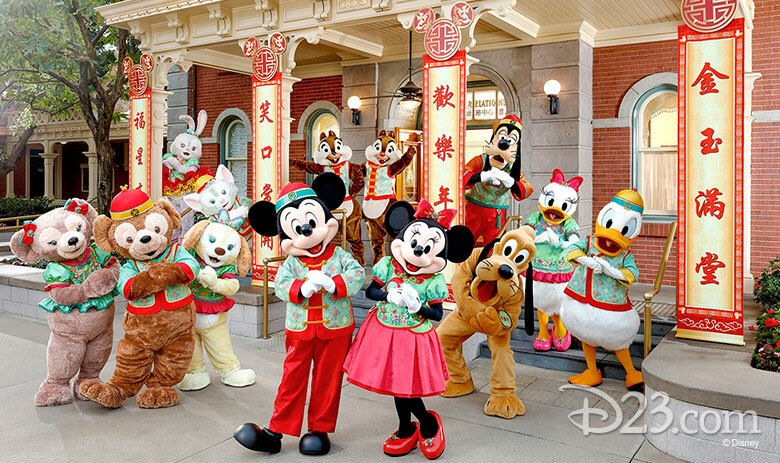 On Main Street, U.S.A., Mickey, Minnie, Donald, Daisy, Goofy, Chip ‘n’ Dale, Duffy, ShellieMay, StellaLou, Gelatoni, and their newest friend, Cookie, are all dressed in their brand-new Chinese New Year best. You’ll spot performers dressed in traditional outfits all around the park as they bring surprises and deliver happy New Year wishes to everyone in attendance. 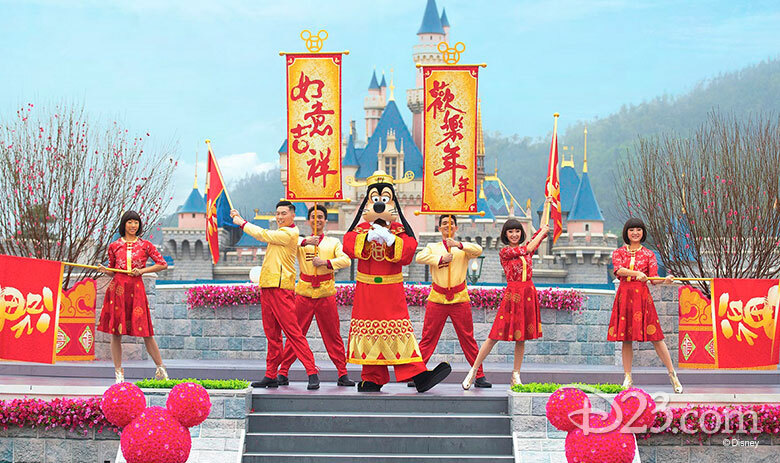 Goofy shares a special Chinese New Year moment with guests twice daily as he appears at the Castle Hub Stage for the “God of Fortune Goofy Celebration Moment,” featuring upbeat dance and traditional Chinese New Year songs. 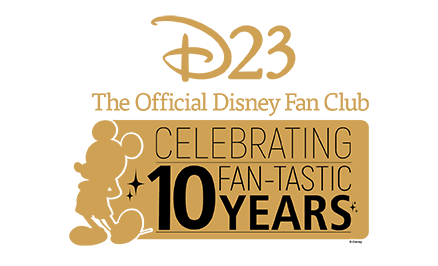 The resort’s Chinese New Year celebration is for all of the senses, and your taste buds will be tantalized by 60 food and beverage offerings that range from full menus to tasty treats. 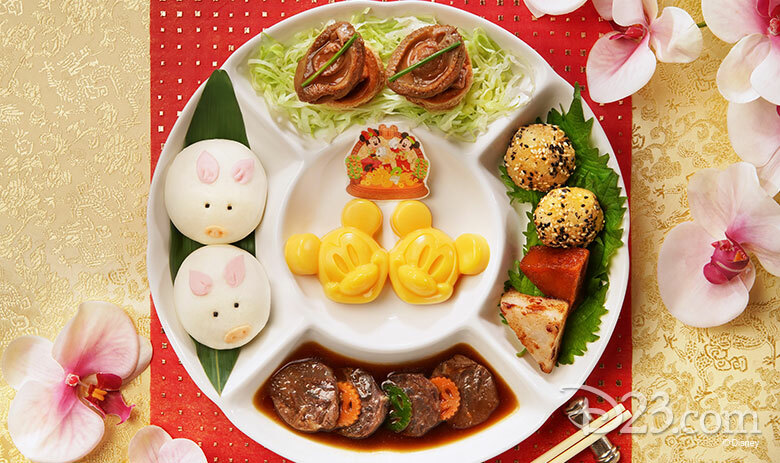 Among the must-eats are the “Gold Ingot,” “Ingot Pudding,” “Wishing Fish,” and “Lucky Mousse Cup” at the Main Street Bakery; or the “Chinese New Year Set” at Main Street Corner Café hosted by Coca-Cola®, where guests can feast in Chinese, Japanese, or Thai style. 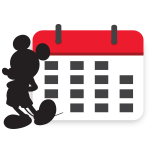 Families can also enjoy seasonal offerings together around the resort, with special choices for family gatherings available at Studio Lounge, Hollywood & Dine, Crystal Lotus, and World of Color Restaurant. 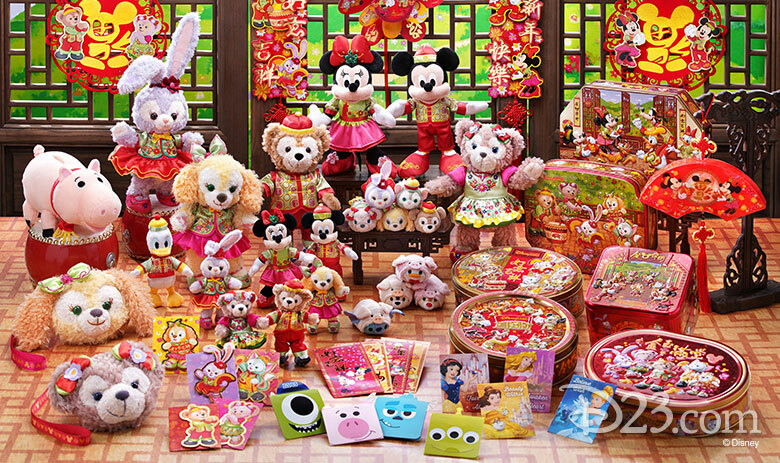 Hong Kong Disneyland has a host of new and exclusive merchandise available around the resort this year, including Duffy and Friends plush toys, keychains, bags, and Tsum Tsum dressed in traditional Chinese outfits; along with Disney-style Chinese New Year gifts that include a new windmill, candy and cookie box, Lai See packet, and a “fai chun” banner with a lucky message. Choose your favorites to share blessings with friends and family, or bring them home for yourself, along with your memories of an unforgettable Chinese New Year celebration.